Sitting in the eclectic port-city of Fremantle, this development was never going to follow your cookie cutter development design. The brief was for a collection of four, striking, smaller footprint townhouses that fit comfortably on the around 400sqm blocks. Their design needed to reflect the industrial feel of its east Freo locale, yet still have a sprinkling of the eclectic and modern charm that the town’s heart is renowned for. 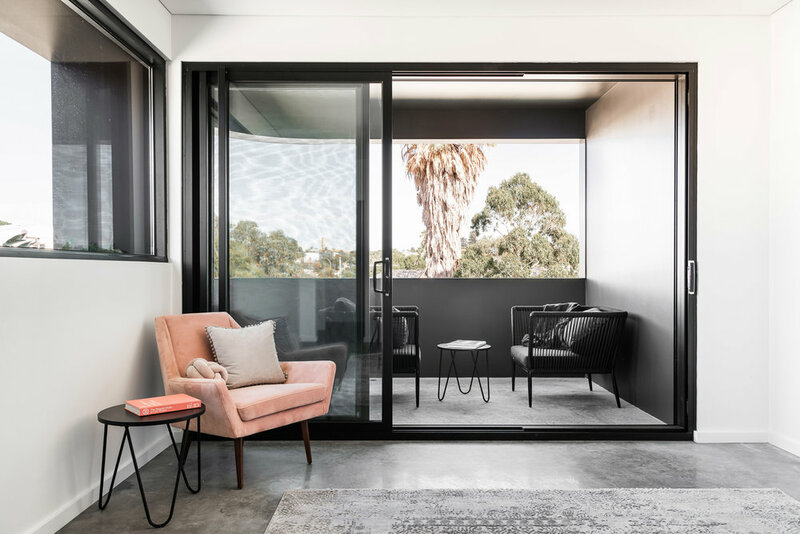 Dalecki Design worked with this concept to create these four striking 3x2 townhouses whose design stays true to the Freo vibe they set out to emulate. Each layout was strategically designed to ensure space was dedicated to areas that prospective buyers crave, such as spacious open living spaces that flow seamlessly outside. In addition to the thoughtful layout, their orientation was carefully considered to utilise passive solar principals including, of course, the obvious Freo Doctor in Summer. To heighten the strong connection with the indoors and outdoors a wealth of windows, doors and day beds feature throughout the home to offer access and views to the garden outside. This is even visible from the second floor with the addition of planters full of flowing greenery. 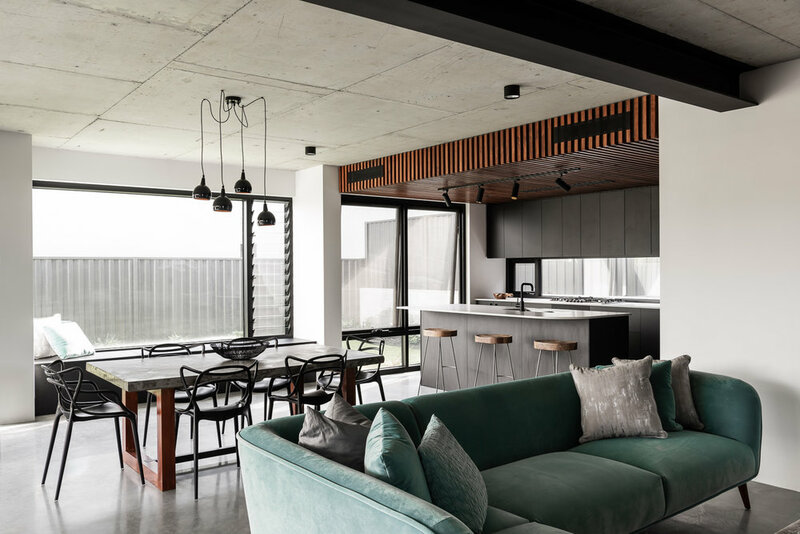 Meanwhile, inside a moody palette nods to its industrial roots through dark brickwork, matte black cabinetry, exposed steel as well as concrete flooring and ceilings. To ensure the interior didn’t feel cold, the dark tones were warmed with timber features throughout. Externally, the striking form aims to attract attention from the street, with curved feature walls, a merging of natural materials and a contrast of white.